Experience the dawn of a new era of automation at our stand. 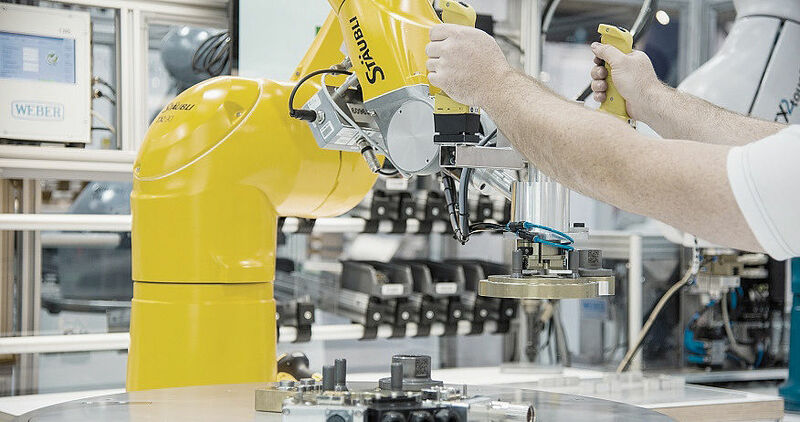 Our advances in connected robotics for the smart production are making a decisive contribution to designing processes that are more productive, more transparent and more flexible, as well as intelligent and self-optimizing. In Chicago, we will also celebrate the North America premiere of the TS2, the new generation of SCARA robotic arms. 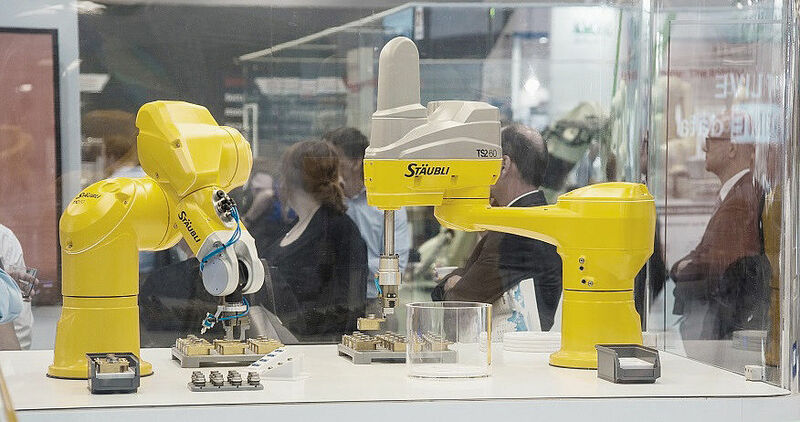 The superior hygienic design of the TS2 four-axis robots creates a scope of new applications in the sensitive environments that are typical of the food, medical, pharmaceutical and cosmetics industries. Immerse yourself in a new world of smart production. 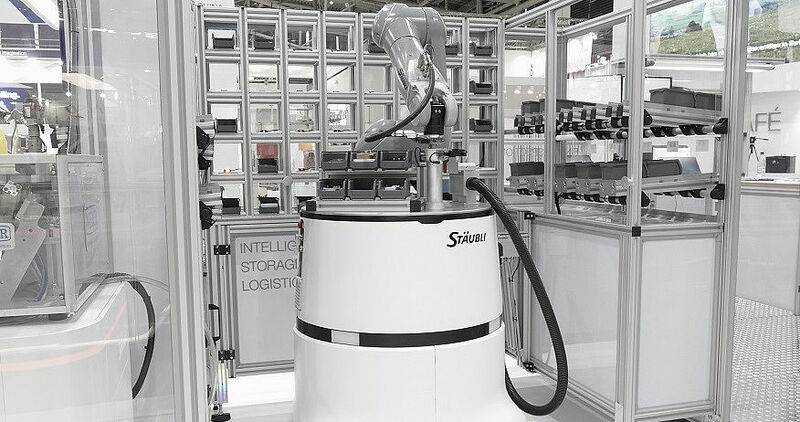 We intend to show that Stäubli solutions are capable of realizing the production scenarios of the future today. Our mobile robot system, HelMo, is successfully on its way from prototype to full series production. 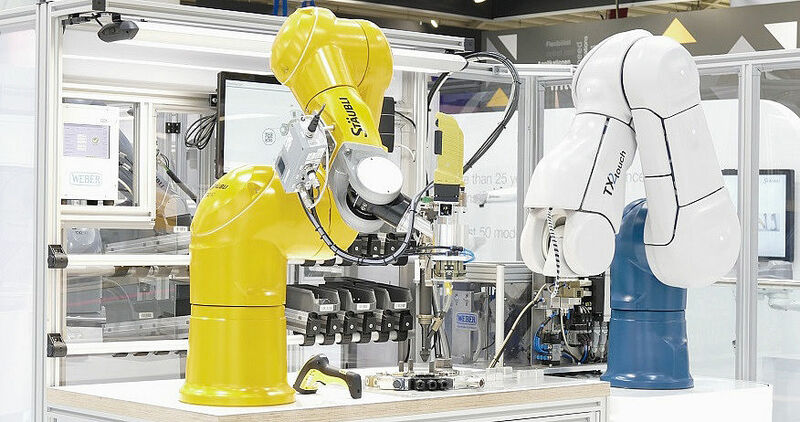 This autonomously navigating platform permits the flexible use of robot technology at different workstations within smart production. Take a close look at our robot series, including the completely redeveloped TS2 SCARA generation.